Aaah another weekend, it is a lovely sunny day today here in Holland and you can feel spring in the air, although that can be very deceiving here, Thursday was horrible, cold and rainy. 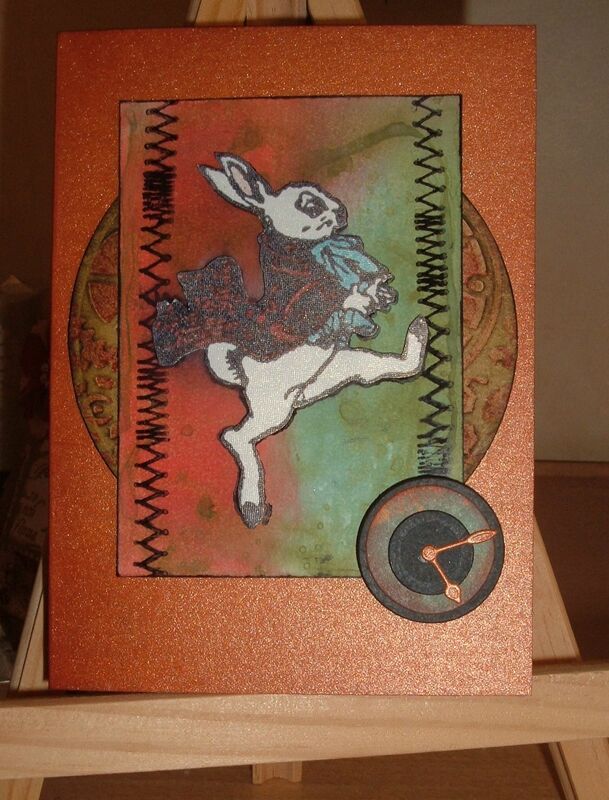 Here is my card to this weeks StampTV sketch challenge. 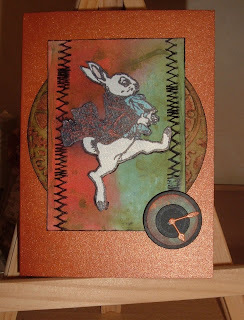 I went to a craft show last Saturday and had a lovely time shopping, I love Tim Holtz stuff and was very inspired by what I saw even though I think it can be a bit too busy for my style, but I thought I would give it a go. Hope you like this.